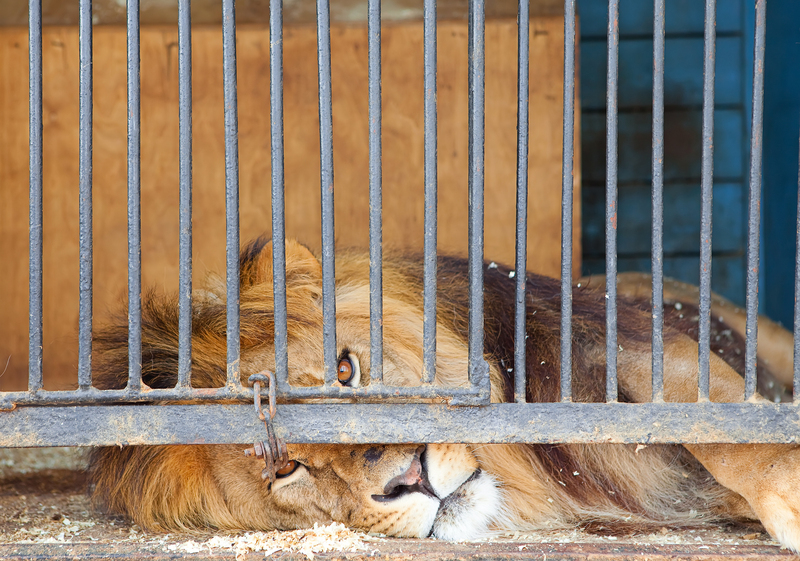 What is the Difference Between a Real Big Cat Sanctuary and an Abusive ‘Scamtuary’? It seems like “sanctuaries” are very much in the news lately. We keep reading and hearing about them being forced to close down due to so many reasons – passage of tighter regulations (as in Ohio), financial shortfalls, escapes or injuries by their captive animals, failure to meet minimal U.S. Department of Agriculture (USDA) standards, and so on. But, did these places ever deserve to be called “sanctuaries” in the first place? When substandard facilities use this word, it takes away from true sanctuaries that strive to provide the best for their animals, like we do here at The Wildcat Sanctuary. The U.S. Fish and Wildlife Service defines a “sanctuary” as a tax-exempt, non-profit entity that doesn’t engage in commercial trade in big cat species, including their offspring, parts, and products made from them. Breeding big cats and allowing direct contact with them is prohibited. Minnesota, where The Wildcat Sanctuary is located, legally defines a “wildlife sanctuary” in similar terms, adding that a sanctuary provides lifetime care for the animals. Accreditation organizations, like ASA and GFAS, add that “sanctuaries” will not have animals on full-time exhibit, unescorted public visitation is not allowed, and wild animals shall not be taken from their enclosures or off sanctuary grounds for exhibition or education. It’s clear that many of the facilities we hear about that are in trouble were never true sanctuaries to begin with. At The Wildcat Sanctuary, we’ve always strived to be the best. From day one, we’ve held ourselves to the highest possible standard in order to do what is right for the animals we take in. Taking in an animal in need is just the first small step of being a true sanctuary. We provide high quality, lifelong care in large, free-roaming, natural habitats. Our keepers are required to have four-year degrees majoring in wildlife/biology. Our interns must have at least two years of undergraduate program studies in zoology, animal management, biology or a related field. We have a non-biased board of directors that sets policy and develops strategic plans for sustainability. We hold proper permits, as well as liability insurance and have thorough safety and natural disaster plans and policies. What we do here for our animals is being recognized by leaders in the field. A recent USDA inspection was conducted by inspector Dr. Debra Sime, DVM as well as Dr. Laurie Gage, DVM, DACVM. Dr. Gage has been the big cat field specialist for the USDA’s APHIS (Animal & Plant Health Inspection Service) Animal Care Program for over seven years and found our facility in full compliance. This is high praise indeed from a man who has known tigers so well! It validates why we work as hard as we do, setting the bar as high as we possibly can, for any facility that calls itself a “sanctuary.” It’s the right thing to do for the animals we care for, as well as the community we reside in. Thank you to all our supporters and donors who believe in our mission as a true sanctuary and have helped make us an industry leader.